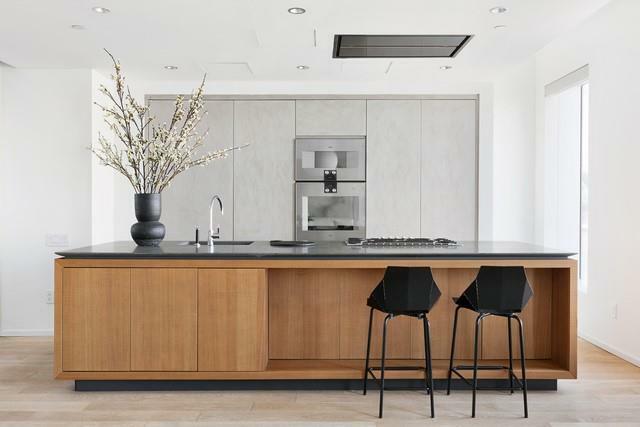 One of only four residences in the building with a private courtyard and private roof terrace, this trophy penthouse features stunning bridge, water and Manhattan views. This spectacular duplex home in the premier Dumbo building offers three bedrooms, three and a half bathrooms spread across almost 2,600 sqft of interior space and includes over 750 sqft of private roof space.Upon entering the residence you are immediately greeted by striking views through six oversized windows. The 12th floor features a 26' wide living, dining and entertaining spaces as well as a private interior courtyard which connects up to the rooftop terrace.The kitchen is equipped with a suite of top of the line appliances including Gaggenau, Sub Zero and Bosch, as well as an oversized stone counter island, a vented ceiling hood, wine refrigerator and beautiful rough-sawn oak Italian cabinetry by RiFRA. This level is conveniently completed with a powder room and large entry closet. Head upstairs to the private roof terrace to enjoy the jaw dropping views while cooking on the built-in gas grill.Travel downstairs to the 11th floor where youll find the three generously sized bedrooms which all feature striking views from every window, en-suite full bathrooms and an abundance of closet space. The spacious master suite on the south corner features a large walk in closet and dressing area while the oversized large master five-fixture suite is outfitted with Dornbracht Fantini fixtures, hand chipped stone mosaic floors, a deep soaking tub surrounded with custom cedar woodwork, walk in shower with dual shower heads, double sink vanity and separate water closet.Additional details of the home include 10 ceilings, wide plank white oak flooring, a laundry room equipped with a washer and gas vented dryer, central air conditioning, plenty of storage throughout the apartment and push button motorized shades on every window.One John Street is a collection of 42 residences. The building amenities include a fitness center designed by La Palestra, furnished roof deck, laundry room and full-service doormen. 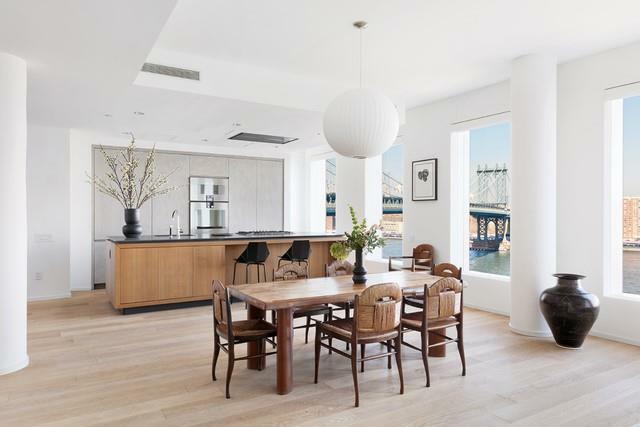 This pet friendly condominium is just steps away from the best that Dumbo has to offer along the waterfront of one of Brooklyns most sought after neighborhoods. 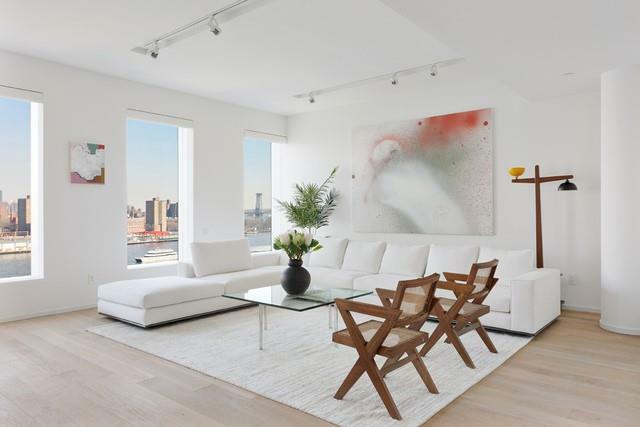 Listing courtesy of Eric Sidman of Compass.